When you’ve got an idea for a business book, your thoughts are likely to turn first to how you’re going to get it published. There are plenty of options for this nowadays, but if you’re after a traditional publishing deal your next step will be to write a proposal. 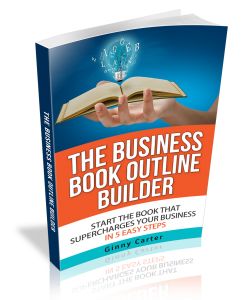 A book proposal is the marketing document that sells your book to a publisher. It aims to convince them they will make money out of your book by selling lots of copies – pure and simple. Although most publishers are book lovers they also have a business to run (just like you), so your proposal is the tool to persuade them they’ll make more than they’ll spend. Publishers and agents are inundated with book proposals every week, some receiving hundreds. Yours needs to stand out instantly as the one they want to read. The one that’s about the book that will sell. The one that will make their name as the publisher who found the next business best seller. This is where you may be feeling daunted. What should you put in the proposal? How can you write it so it gets noticed? 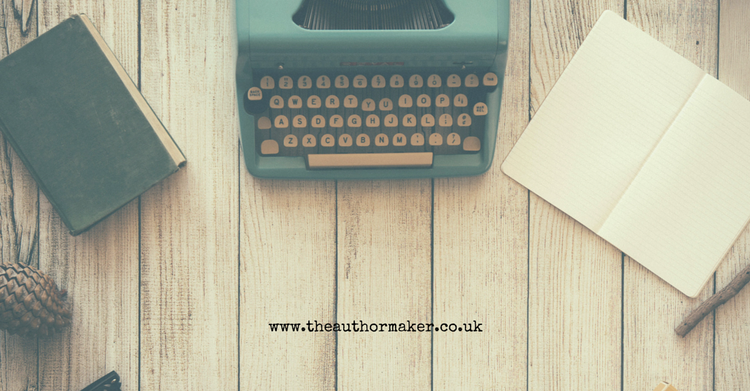 More importantly, what kind of proposal do you need to win a coveted publishing deal? As a business book ghostwriter I’ve written many proposals, some of which have snared their authors lucrative and prestigious traditional publishing deals. Now I’m sharing my secrets with you. Because the good news is there are some basic rules to follow when writing your proposal, and they’re not hard to follow. Every publisher is different but if you use the advice I’m about to share with you, you can’t go far wrong. Start off your proposal with a nicely formatted cover page. You can use the suggested title for your book, your name, and the words ‘Book Proposal’. You’ll also need a contents page. Simply state what you plan to call your book. The title should be the catchy part and the sub title do the ‘heavy lifting’, explaining what the book’s about and how it helps people. If you’re not sure of the title yet just do your best for now. If you strike a deal, the publisher will want a say in what it’s called in any case. This is for technical information such as the number of words (in thousands), the formats you plan (such as e-book or print), any illustrations or images you want to include, and what kind of price you envisage it being sold at. Remember you’ll need to own the copyright for any images you use, or at least hold the licence to use them. You don’t need to list the images, just give an indication of how many and what kind they’ll be. This is the hook for your book, and it’s critical to your proposal’s success. It needs to encompass the book’s essence: what it’s about, who it’s for, and why your readers would find it essential. A tip: it’s easiest to write this when you’ve written the more detailed description below. You can take a few hundred words over this, but not more than 5-600. This is the sales pitch for your book, so make it a good one. Explain what your book’s topic is, who it’s for, what kind of book it is, and why it’s needed now. You want the publisher or agent to ‘get’ it and know the point of it. There should be no room for doubt in their mind as to whether there’s a need and desire for your idea in the market place today. Important point: the summary isn’t for what your book’s ‘about’. That’s part of it, but not the main element. It should focus on what your content will do for your readers and why they should care. In other words, the reasons they would buy your book. These are useful for whoever is selling your book internally at the publisher, so make their life easy. Include a few bullet points covering the key elements of your book that make it special. This could be a particular audience, a novel approach, the way you envisage it being visualised, or any other features that stand out. Who is your book aimed at? Be specific about this and quantify your main readership if possible. Remember, the publisher wants to estimate the number of copies they could potentially sell. Then, as publishers like books that have a broad appeal, add a secondary audience or two. These are people who are also interested in reading your book but less so than the main audience, such as students or teachers of the topic you’re covering, or people slightly outside your target readership. Break down your audience clearly into primary and secondary so it’s clear you’ve thought this through logically. Whatever you do, don’t put ‘everyone who likes x topic’ – that’s a surefire way to ring alarm bells that you’re not clear on who you’re aiming at. This where you sell yourself as an author. What’s your expertise? What makes you the right person to write this book? You’ll also use this area to outline your marketing platform. What media do you appear in? Do you speak regularly? What follower base or email list do you have? If you’ve written a book before, here’s the place to describe it and quantify its sales. Your aim here is to convince the publisher you have the authority, visibility, and personality to actively sell your book when it’s published. A publisher will be thinking about how your book fits into what else is on the market. List 5-10 books which serve a similar market to yours and are on a similar topic. List the title, author(s), publisher, and publication date (making sure you’re looking at the latest edition). Describe each one briefly and – this is the crucial bit – explain why yours will be different. You’re aiming to show your book is targeted towards a successful book category, but that unlike the main books in it yours will be more up to date / better written / differently targeted to what’s already there. Or it could complement the existing offering in some way. Don’t trash the competition (remember the publisher reading your proposal may have published it themselves) or say your book is so unique is has no competition. That’s one way for your proposal to end in the trash pile. In many ways this is the most important part of your proposal. Publishers want to work with authors who will make it easy for them to sell lots of copies of their book. The more you can offer to do yourself the less they’ll have to do, and the happier they’ll be. So be confident here – talk in terms of what you will do rather than what you might or hope to do. What are your promotional plans? What audience do you have available to you, and how do you intend to reach them? And what evidence can you show that you do these things already and that they work for you? Think: social media, email list, your website, speaking opportunities, tie-ins, joint ventures, and anyone you know with credibility who could endorse your book. Be specific about numbers and options and make it clear you intend to do these things. It’s more impressive to come up with a tight list of credible options that prove you have the connections and ability to get results, than it is to take a scatter-gun approach. Your goal is to convince the publisher you see it as your job to market the heck out of your book and that you already know how to do it. This is the road map of your book. The publisher will want to see a detailed outline of each chapter in the tone and voice you envisage writing the book in. It should be obvious from this how your topic unfolds throughout the course of the book, and the logic you’re using to take your readers on a journey. Also, use this part of the proposal to get publishers excited about your book. They should want to read more after going through it, so use sparky headings and engaging writing. This is the equivalent of the publisher ‘test driving’ your book so they get a feel for what the finished model will look like. Include one or two chapters that give a good idea of how it will read – not the introduction but those that showcase your approach to your content. Once your business book proposal is written, and before you pour yourself a celebratory drink, get someone to proof read and check it thoroughly. There’s nothing that screams amateur as much as a document full of spelling mistakes and mis-formatting – that’s not the best way to be taken seriously as a potential author. The book concept is not specific enough. The target audience isn’t quantified or is too general. The author doesn’t have a credible marketing platform. The author doesn’t have the credentials to write the book. The idea is too similar to others already out there and doesn’t stand out. You can see from this that writing a business book proposal is no mean feat. It will take you several hours, even excluding the sample chapters, and you’ll end up with a document of a few thousand words. It’s an excellent preparation for writing your book, though, because you’ll have done much of the vital thinking up front. If you want to speed up the process and increase your likelihood of success, why not ask an expert to write your proposal for you? Best of luck with your publishing plans. Let me know how you get on!